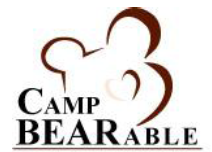 Last weekend I attended Camp Bearable as a “buddy.” Camp Bearable is a weekend-long overnight camp for children ages 6- 17 who have lost a loved one. It was started by my hospice agency 13 years ago and is offered free of charge. Each camper is paired with an adult – a buddy – that is with them for the whole weekend. Activities in the camp included normal things like games, campfire, eating together, and crafts. Other activities were focused on helping these children deal with their loss, and simply to be there for the kids. Music therapy is one of the activities, which is how I was introduced to the camp in the first place. At the suggestion of my supervisor, I decided to volunteer the whole weekend as a buddy, instead of just coming in on Saturday afternoon to help lead the music therapy sessions. I was paired with a girl who was very spunky and didn’t seem too sad…she had been at camp the year before and she was looking forward to the fried chicken. But at certain times during the weekend she became tearful, and a couple times she opened up to me about her loss. She was sad, angry, confused, frustrated, but also had good memories of the one she lost. Above all, she missed her loved one. A lot. Most of the kids had lost either a parent or a grandparent. A few had lost siblings or aunts, uncles, or cousins. Some lost them to cancer, car accidents, other medical issues. Some lost them to suicide. I am grateful and proud that my hospice agency offers this camp. The kids have a chance to say anything they want about their loss and they won’t be reprimanded or shushed or told they “shouldn’t say that.” We were taught to simply be there, listen, and validate their feelings. I found they were pretty resilient in their grief, compared to adults. They could easily go from being sad and crying to laughing with their friends and racing down the hallway to the cafeteria. On the last day, when everyone was physically and emotionally exhausted of course, we did a balloon launch. Everyone (buddies included) wrote a note to their loved one and tied it to the ribbon. 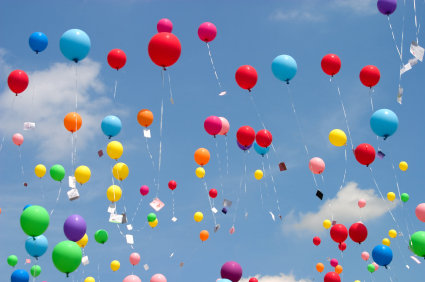 We went outside in silence and let the balloons go, watching them ascend, getting smaller and smaller until you couldn’t see them. It was quite an emotional release. I stood behind my girl with my hands on her shoulders. After a little while she turned around, put her arms around me, and tearfully said “I miss him so much.” I told her, “I know you do” and hugged her as tightly as I could. Her girlfriends, who were also crying, came over to comfort her and I found myself wrapping my arms around a group of 5 eleven year olds, with my girl’s arms still wrapped around me. These kids hurt. Grief is hard because everyone wants to fix it. You can’t fix it. You just need to be there. And wrap your arms around the hurt. The love being poured out and the trust that is reciprocated will lessen the sting and loneliness. The definition of music therapy is to design interventions of benefit to achieve non-musical goals to meet a client’s needs. Determining what the goals should be for the client is a really important part of the music therapy standards of practice, and it takes a lot of practice to know what goals are appropriate for each client. Goals are determined after the client is assessed. Assessment occurs after a client has been referred by someone (doctor, teacher, self). In hospice, music therapy can be referred by the doctor, nurse, or social worker. Goals can also be set for the family or caregiver. Sometimes the patient is in a comatose state or unresponsive, but the spouse or other family members are having difficulty with their grief. In those cases, music therapy can still be prescribed to support the family. 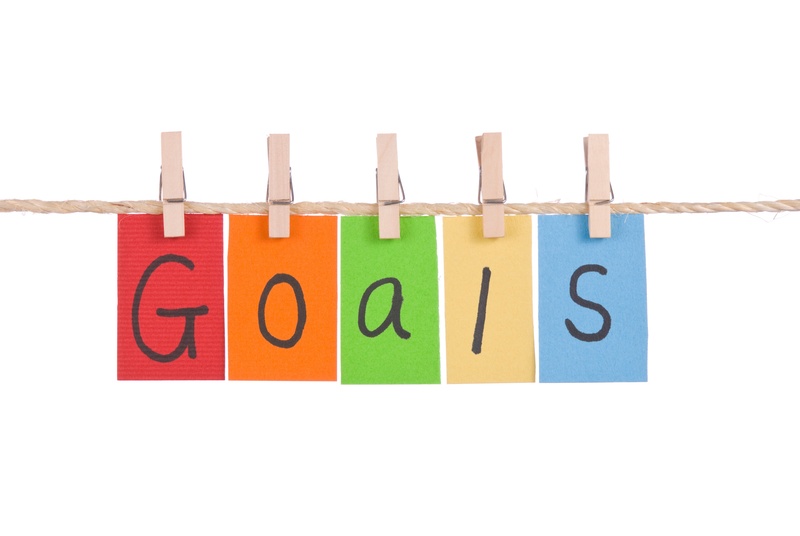 Goals in these instances are usually family connection, spiritual and emotional support, and anticipatory grief. So how can music help achieve these goals? Some of them are self-explanatory. The presence of the music therapist and the music itself can be comforting and can also help with goals of decreasing isolation and loneliness. Spiritual and emotional support occurs when music is selected that is meaningful to the patient and/or in which the lyrics have significant meaning to the situation (yesterday the daughters of a patient told us how he remarked he was ready to go home, so I sang the song “Going Home”). It’s easy to come to the conclusion that anybody with a guitar and a nice singing voice could do this job…and I guess they could pretty well. But music therapists are trained not only to know songs and be able to pick out the right ones, but we’re trained to determine the most effective goals for the patient. We’re also educated in the diseases we come across and how music affects the physiology of the patient (breathing, heart rate, etc.) I compare it to someone who wants physical therapy, so they just hire someone who is athletic and knows how to stretch. Yeah, stretching is good, but there’s more to physical therapy than just moving limbs back and forth. The same is true for music therapy: there’s more to it than just singing pretty songs. Just look at our documentation! Last week I talked about the most important thing I’ve learned so far in my music therapy hospice internship. This week, I thought I’d share what a typical day is like. Hospice music therapy is one of those jobs where each word is familiar to everyone, but put together…the actual job description is hazy. The day starts at 8 am, and I go to one of the three offices. There are three because the service area covers 12 counties – 6 in Ohio and 6 in Indiana – so each ‘zone’ has a home base office. Since I am mostly observing at this point, I am jumping around to the different offices throughout the week. The first order of business is learning about changes in patients’ statuses. Obviously, there are many more changes over a weekend, so Monday mornings take a little bit longer than the other days to get up to speed. A patient may have died or is in rapid decline. A patient may have been admitted to respite care (in which the patient goes into 24-hour care with hospice to manage symptoms that are out of control, or to give the caregivers rest, or both). There may be new admissions. Priorities are set at this time and it may be common to take off ASAP to see a patient who is “impending” (close to death) or has a great need for music therapy. So, depending on the route for the day, I may ride with my supervisor or follow her in my car. I switch days with the two music therapists, so that I can observe both of them in their work. We usually see between 2-5 patients a day. Most visits last 30-45 minutes. We arrive at either a home or a nursing home and my supervisor gets out her guitar, iPad, and maybe some other materials like small percussion instruments and binders full of music, depending on the patient. If it’s a nursing home, we walk in and go straight to the patient’s room. We don’t have to sign in or anything, usually the staff knows who we are. If the visit is an assessment (new patient), we let the nurse on duty know who we are and ask if we can see the patient. When we enter the patient’s room, we find seating near the bed. Sometimes the patient is alone, sometimes family members are visiting, sometimes other hospice staff are there, such as aides or the nurse. If the patient is at home, we call first before visiting and drive to the home, knock on the door, and come in, similarly finding seating and then doing our session. Naturally, caregivers or family members are there with the patient, although sometimes the patient lives alone. So what do we actually do? In an assessment, we try to find out as much as we can about the patient’s background, history, and music preferences. There are some standard songs that everyone seems to like, such as “You Are My Sunshine” and “God Bless America” that are a pretty good bet. Most songs we sing are old hymns, old country and western, golden age songs, and some singer-songwriter music. When the patient has been seen often by the music therapist, a rapport has been built, between the therapist and the patient, and also the therapist and the caregiver/family. Favorite songs are known, so the therapist will sing those and perhaps other songs like them, either the same genre or are by the same artist. If there’s a song they patient likes and we don’t know it, it’s our job to learn it. I’ll get into the specific goals and interventions for music therapy next week…this post is already long! After the visit is over, we pack up and say goodbye. Then it’s time to do documentation. The documentation for our hospice is electronic, so we can complete everything on our iPads. A lengthy assessment is completed after each session and some of it is integrated with the other disciplines (nursing, social work, spirituality). We also have to complete timesheets everyday to show where we were and calculate our hours. We also factor in our travel time including mileage, which we get reimbursed for. At the end of the day, around 4-4:30, everything is finished up and I leave to go home. Sometimes we’ll stay in one city for most of the day, and sometimes we drive quite a lot, up to 2-3 hours total in the car. Sometimes we’ll be able to go back to one of the offices to do documentation or eat, sometimes we’re out all day. It just depends on who we see. I’m pretty tired by the end of the day. So, that’s what a typical day is for me! Next week I’ll talk about what we do as music therapists to meet our patients’ needs, and the needs of their caregivers/family. I’ll leave you with a song I learned for a patient. It’s a doosy! So I started my hospice music therapy internship two weeks ago. 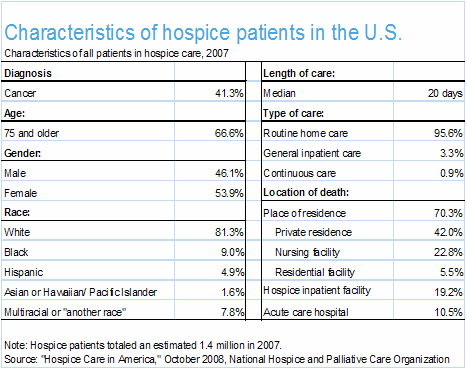 Hospice is the holistic care of persons who are terminally ill and their families. Services are usually covered by Medicare and include medical (nurses, aides) and social services (social worker, chaplain, music therapy). Some hospices offer other services such as massage therapy, counseling, and speech therapy. In these two weeks I’ve seen just about everything – smiles, tears, anxiety, peace, patients in their 90’s, and great-grandchildren who are months old. I’ve sang many hymns, Roy Orbison, James Taylor, and Tom Petty. I’ve driven hundreds of miles and seen approximately 298,000 farms (and smelled their smells). I’ve been in several nursing homes, and residential homes that have been lived in for 50+ years. Houses where the dining room or living room or the room with the best view has been turned into the patient’s room, with the furniture moved out to make room for the special hospital bed, equipment, bedside table, medical supplies, IV stand, notepads full of vitals stats and numbers for medicine, air mattresses or sleeping bags for the family member in charge of being with the patient overnight, walls full of framed photos, fresh flowers, and folding chairs strewn about. I’ve heard laughter from a patient when I couldn’t play the chords right, tears from a patient at the first phrase of “In the Garden.” I’ve heard stories of couples who have been married for more than 60 years. On my third day, I saw a patient die. It was beautiful and peaceful. I felt humbled to be there with the family, that they would share this intimate moment with someone they had never met. I’ve learned a lot already. I’ve learned how important it is not to judge anything you see or hear. Grief is unpredictable and there are many ways of coping with it. There is no right or wrong, there just is. There’s definitely a lot less social tension when judgment is not present. You meet the patient or caregiver where they are, and you simply sit next to them, literally and figuratively. Any change that occurs is brought on by the music. It does the work. Whether it’s to increase the energy (if there is depression) or diminish it (if there is anxiety). Family. Family. Family. Family. Family. Family. Dying is hard. Loss is hard. But the common denominator I’ve seen with every single patient is family. I’ve seen families consisting of one spouse. I’ve seen families consisting of 9 children and 20+ grandchildren. Great-grandchildren. Aunts, uncles, sisters, brothers, cousins, in-laws. Actually – especially in-laws. The in-laws I’ve observed provide an immense amount of strength and support to the immediate family. I know families are diverse. My family alone practically takes a diagram to explain. Families are broken, numb, estranged, non-communicative, etc. But I would wager your family will stop LIFE to ensure your safety and well-being. I don’t know how appreciative you are of your family (or how much you can be, depending on your circumstances). What I do know is there is amazing strength and fortitude when families come together to support a dying loved one. I see grace, patience, and empathy. I see beauty and heartache. I see pain and joy. I have been saying goodbye for 7 days. I’m at the dealer getting my oil changed and I even feel compelled to say goodbye to the nice guys who fix my car every three months. Social media changes everything. Facebook ensures that at least one thread of connection will remain intact. I didn’t have that 9 years ago when I graduated from college the first time. Yet, there’s a sad omission of finality with this connection. Not that I ever want to completely cut ties with someone, but waving off the reality of geographical distance because “we’re Facebook friends” somehow diminishes the significance of the relationship and how it will never be the same. It’s almost as if we’re afraid to be vulnerable and say “you mean a lot to me and it’s going to be hard to not be able to see you in person whenever I want.” I’m absolutely guilty of this. There are a lot of people to whom I am indebted the past 2 years, people who have shaped my life. People who have seen me at my best and my worst. Yet again, God has been faithful in surrounding me with a community of friends and colleagues in this season of my life, something I was worried about and prayed about a lot when I first moved to Winchester. I need to honor that. Curiously, saying all of these goodbyes may be the best preparation I could have for my internship. Every patient I will have will be saying goodbye. My whole ministry will be about helping people say goodbye to their loved ones. Holy cow. I believe, somehow, God will teach me how to say goodbye. Hospice is goodbye pedagogy. And what a gift that will be, to learn how to say goodbye. I think that could help a lot of people, whether they are actively dying or not. So, to my loved ones who I’m leaving tomorrow: I don’t care if we’re Facebook friends. You mean a lot to me and I’m going to miss you. Thank you for bringing me into your life.